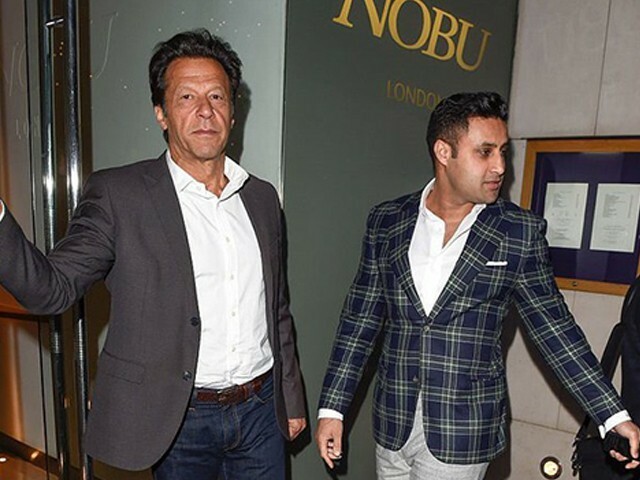 The appointment of Syed Zulfiqar Abbas Bukhari as a special assistant to the premier has shocked many, even within the ranks of the Pakistan-e-Tehreek Insaf (PTI). His designation is in many ways equivalent to that of the minister of state, and he will subsequently be availing the perks and privileges given to a minister of such a position. On the face of it, Bukhari came close to Imran Khan when he assisted him in finding forensic companies to investigate the business dealings of Nawaz Sharif’s sons, Hassan Nawaz and Hussain Nawaz. As a result, he quickly became Imran’s blue-eyed boy in the ranks of the PTI, and now has been given the best prize one can get, short of being an elected official; the portfolio of special assistant to the prime minister. However, the plot is thicker than that. Bukhari also happens to be a business tycoon based in London and holds a dual nationality. Besides owning very expensive properties in the posh areas of London, he also owns six offshore companies, for which he is under investigation by the National Accountability Bureau (NAB). Since Bukhari not only holds a dual nationality but is also currently being investigated by the NAB, his appointment has once again brought staunch criticism in the direction of the PTI and our prime minister. PTI has stood by this decision, with party leadership suggesting that the cases against Bukhari are politically motivated. They also suggest his dual nationality should not be of legal consequence, as he is not an elected representative of either the National or the Provincial Assembly. This rebuttal issued by the PTI is neither logical nor does it stand a moral ground, since there really is no way to justify this appointment. For the past five years, Imran has been the most vocal critic against elected government’s hiring cronies, dual nationals, and owners of offshore companies. He has consistently insisted that by hiring cronies our elected governments actually promote nepotism instead of merit, and the resultant trickle down effect impacts the whole society. Likewise, it was Imran who criticised and accused previous governments of appointing people to the public office who had dual nationalities or were being investigated by NAB. Then how can Imran accuse previous governments of promoting nepotism or awarding positions despite allegations of corruption or dual nationalities, when he does the very same within months of forming his own government? The only effect Imran’s actions now achieve is that they successfully damage PTI’s political credibility. Furthermore, even PTI’s Fauzia Kasuri isn’t happy about this appointment as she had to forego her US citizenship to be able to content or hold public office. March 2013. I was asked by @PTIofficial n @ImranKhanPTI to surrender my US citizenship in order to be able to contest an intra party election.I did so, for I always respected what IK wanted n it was for the love of Pti. Now, dual nationals holding public offices? Insaf? After all, it was only last month that Aown Chaudhry, who happens to be a close friend of Imran, was reportedly appointed as an advisor to the Chief Minister of Punjab. Now another close aide has been rewarded with an advisory position. Is this not nepotism? Is this not another U-turn by Imran and his party? Is this not hypocritical? Furthermore, if anything, Bukhari’s dual nationality and his business interests make it inappropriate for him to hold any official positions or be in such close proximity to the matters of the Pakistani state. Back in 2013, Captain (retd) Shujaat Azeem resigned as the Adviser to Prime Minister Nawaz on aviation, after the Supreme Court (SC) raised questions concerning his dual nationality. If anyone files a petition in the SC regarding Bukhari’s dual nationality, he will technically be disqualified under the same clause, as the precedent has already been set by the court. Being investigated by the NAB only makes his future more uncertain, and if NAB also establishes that the offshore companies were indeed created to evade tax or launder money, it will simply result in more embarrassment for the PTI, creating a scandal their credibility may not recover from. 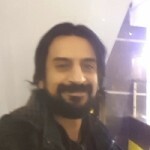 It is also pertinent to note that for Imran, the likes of Bukhari, Jahangir Tareen and Aleem Khan all are presumed innocent and victims of political enmity, while his opponents are regularly bashed and insulted, despite the allegations levelled against both being the same, despite NAB being the same body taking action against both, and despite the SC disqualifying both for the same reason. Bukhari’s appointment may have made a few celebrities happy due to his role in producing the movie Cake, but neither his skills nor his wealth is relevant for doing something substantial for the development of overseas Pakistanis. On the other hand, his appointment shows that political parties, particularly the PTI, have not learned lessons from the past. Instead of adhering to true democratic principles, they all try to oblige and satisfy their cronies by offering tokens of appreciation in lieu of personal favours. It is common to see politicians here backtrack or keep corrupt individuals involved in matters of the state; none of that is news in Pakistan. However, what is most disappointing is to see a political party that came to power on the promise of changing the rotten political and social order become a part of the same system in no time whatsoever. Instead of trying to change the prevailing norms, PTI seems set to simply exploit the system to its advantage. For now, this is just more proof that the slogans regarding merit and ending nepotism were mere sloganeering on part of the PTI to gain power – all part of the same political culture where a ‘kitchen cabinet’ is preferred in order to keep a firm grip on power. It’s only been a couple of months since Imran took charge, yet it seems what he needs most right now is a bit of soul searching, as every appointment and every decision of his government only fuels controversy and makes us all wonder when the mythical Naya Pakistan will come into fruition.